This is a dimensional framed glass and metal art piece depicting the sorceress Morgana casting a spell summoning the Dragon Spirit. Her mysterious green eyes and her hand holding flames and a dragon's head are made of enameled forged copper. She wears a crystal beaded bracelet. 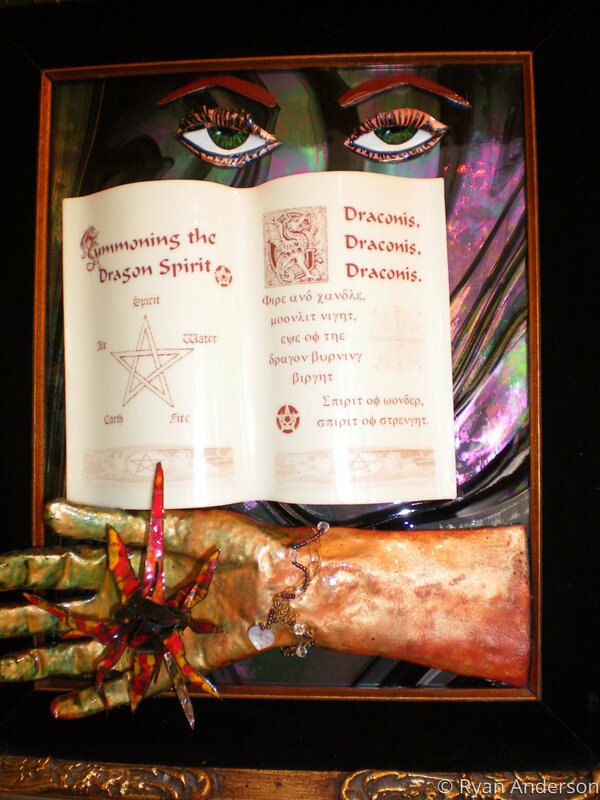 The spell book is of fused glass and shows her Dragon Spirit incantation. The artwork is mounted on iridescent art glass. The frame is a golden scroll design with a black velvet insert.